A 5-3/4" by 9" paperback that contains portions of catalogs from both the rare 1905 Limbert Catalogue and a 1911 Supplement to Catalogue 14 that shows seven Limbert lamps. This book also contains a 20 page section on how the furniture was made with sketches of pegged joints, spliced00 joints, mortise and tenon joints, keyed tenons, construction of a spring seat cushion, and others. Over 200 pages in all. Paperback reprint of the 1903 catalog measuring over 9" by 12" containing 67 pages with sketches of some of the earliest Limbert furniture. 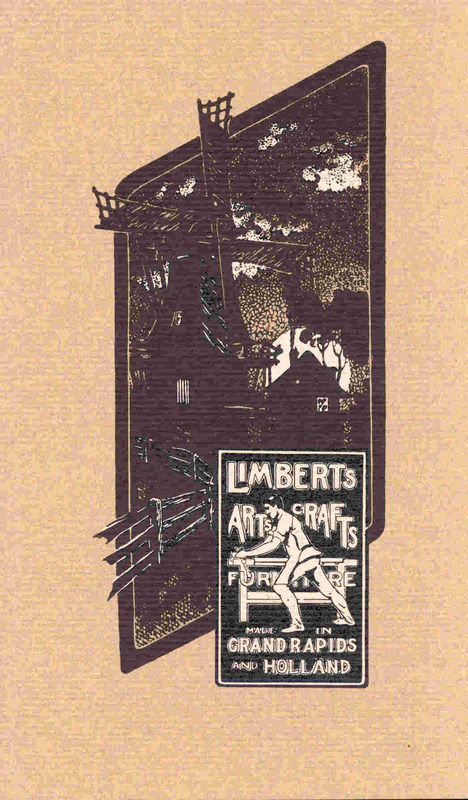 This catalog starts with Limbert Chair #1 and covers the earliest pieces made. A mut have catalog for any serious collector of Limbert Furniture. A poaperback book, 6" by 8-1/2" consisting of 108 pages of illustrations of Life-Time furniture. The name refers to the line of furniture and not the name of the company. The company was the "Grand Rapids Bookcase and Chair Company" But as the cover shows this was also know as The Cloisters Style, although the furniture is labled Life-Time. 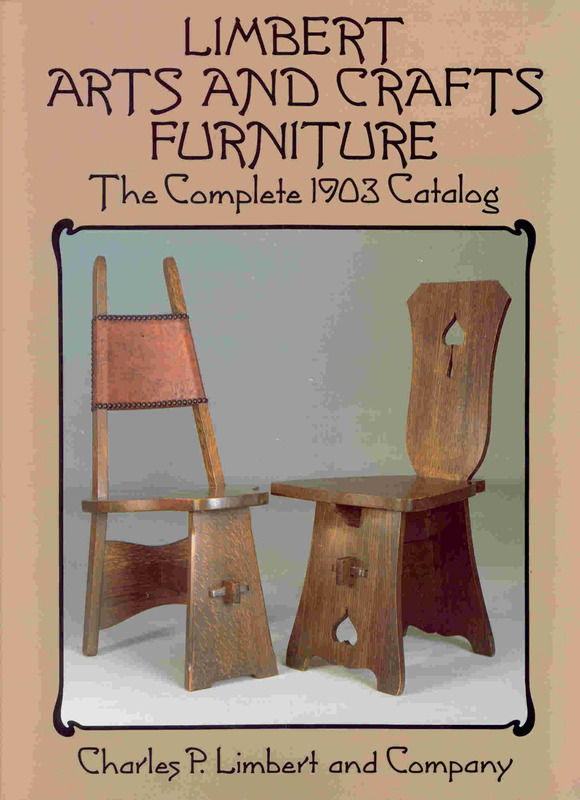 This book is the essential companion to the Life-Time Furniture reprint of the 1911 catalog. 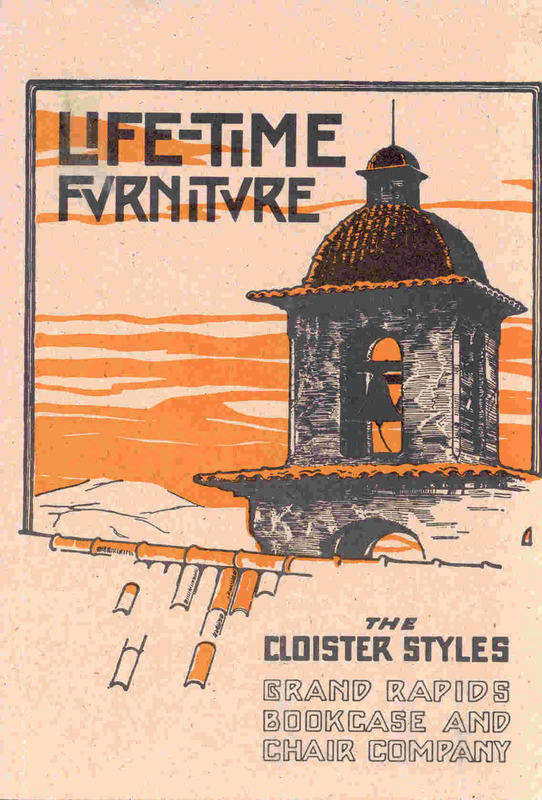 Lifetime Furniture, Puritan Motif, 1918 Catalog features Lifetime Furniture exclusively in the Puritan motif, or refined mission style, in the words of the company's ad copy writers. This light, elegant Arts and Crafts furniture, characterized by long graceful corbels and arched stretchers, was introduced in April 1917 and was popular with the public for years after Gustav Stickley and most other leading Arts and Crafts furniture manufacturers went out of business or moved on to historical period motifs. This book reprints the complete contents of the 1918 catalog together with the original November 1918 price list. The catalog features 75 different forms of Puritan-style mission furniture. The book includes a scholarly Introduction illustrated with period photographs.